Today the San Jose Sharks announced that the club has signed forwards Scott Gomez and Tim Kennedy to 1-year deals. Gomez, who was recently bought out by the Montreal Canadiens signed a deal worth $700,000. Last year with the Canadiens, Gomez posted 11 points (two goals, nine assists) in 38 games. The 12-year NHL veteran has appeared in 902 career regular season games, and has scored 686 points. 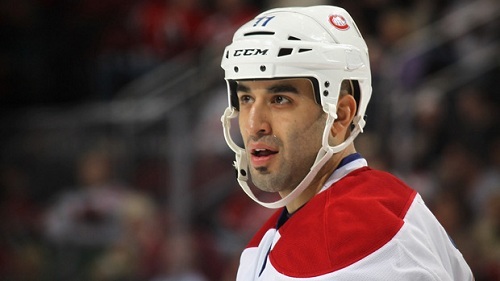 Scott Gomez hopes to rebound from last years disappointing season. Kennedy, who has been playing with the Worcester Sharks has 30 points (12 goals, 18 assists) and a +5 rating in 31 games. During 112 career NHL games, Kennedy has recorded 29 points (11 goals, 18 assists) and 54 penalty minutes.